--> special introductory price: 40% off! Instead of CAN$ 12.99 just 6.99! *** Tree Id Canada - Identifying 442 native Canadian species of trees shrubs and bushes - comes with over 4000 photos! *** This app is the most comprehensive Canadian tree app on the market. 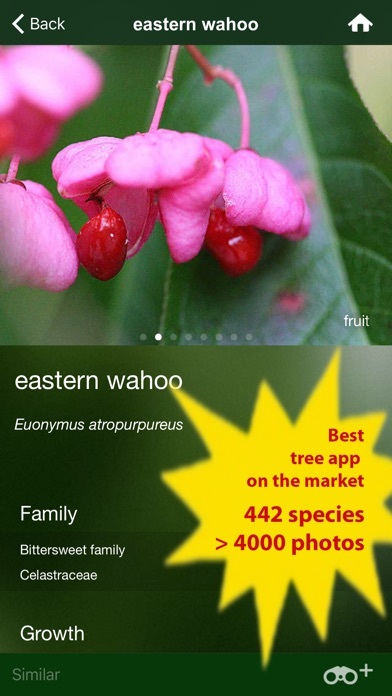 The app describes in detail native Canadian trees and shrubs showing the full tree, bark, flower, fruit, and leaves. 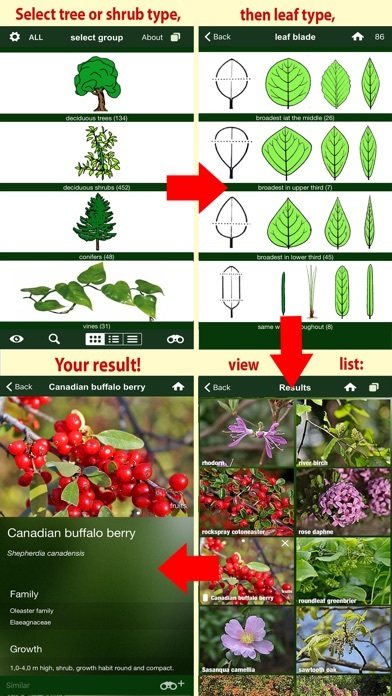 The idea for this app originated from our shared passion for nature in order to provide like-minded with a comprehensive and helpful tool to observe, identify, and map trees, shrubs, and bushes of Canada! To date we have sold more than half a million field guide apps worldwide! This app is part of the Sunbird Images BLUE LABEL series. Our professional BLUE LABEL series are top notch digital field guides which provide the most comprehensive data available for a region or taxon. Our apps stand for high quality and user-friendliness. Even the rare species are illustrated and described in detail and featured with a full species account. Addresses the generally interested nature lover as well as the expert – with intuitive user interface and many helpful and interesting features! 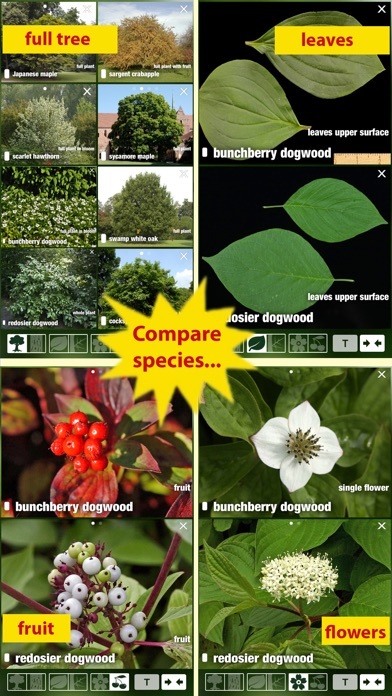 No other tree app offers the following: - all Canadian provinces included – choose a single province or 'all' to access all species covered by the app - comprises a total of 442 trees and shrubs native to Canada - a simple identification key narrows species down, - a sophisticated Id feature can be used to look for special traits - 4,500 carefully selected photos, from wildlife photography agencies PlantaPro, and Sunbird Images - photos show habit, bark, flower, branch, fruit, and leaves / needles where available - most advanced Compare Mode of any tree app - compare up to 16 species images, including habit, bark, flower, branch, fruit, and leaves - create sighting lists and sort by place, date, group, and name - automatically plots every sighting on a map via GPS (editable) - make notes to each species spotted - sort and display species by gallery, A–Z list, or family - species names in English and Latin, order easily switchable Narrowing species down by state, whether it is a conifer or a deciduous tree / bush, and by leaf shape, leads you to a list of results. 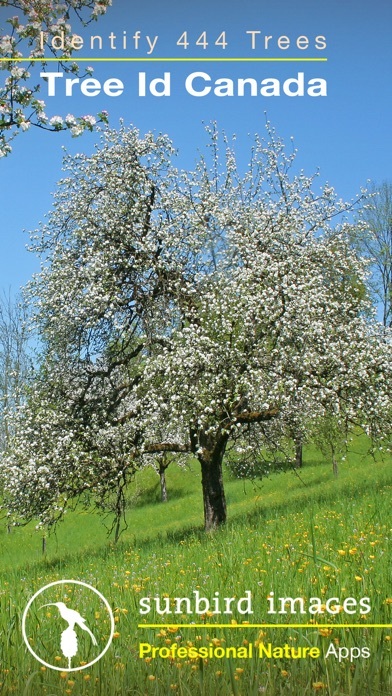 You can also look for fragments of a species name – the search for “cherry“ shows all the species which include the word “cherry“ in the species’ name. ***A graphically well-designed layout – easy to use with large lettering *** "Tree Id Canada" is very well suited for keeping personalized sighting lists. The app will be continuously developed further. All updates are free of charge. 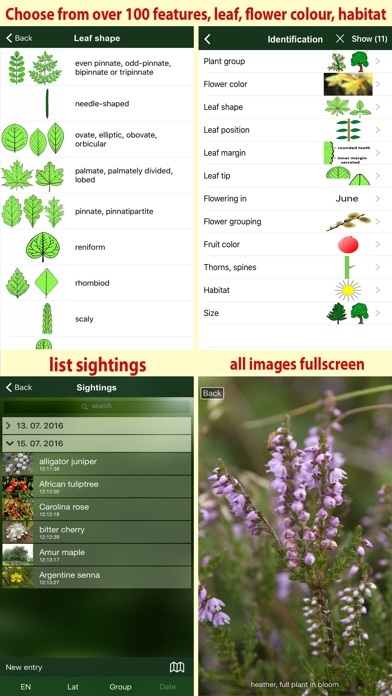 Once downloaded no internet connection needed – just download the app and start identifying trees!